TEXADA Modern 2BR Waterfront Cottage - the Beach House Texada! Property 5: TEXADA Modern 2BR Waterfront Cottage - the Beach House Texada! Family Farm B&B - Come Join Us For A Wonderful Farm Experience! Property 6: Family Farm B&B - Come Join Us For A Wonderful Farm Experience! West Coast Garden Loft Open Concept Living Area with Private Bathroom & Entry. Property 11: West Coast Garden Loft Open Concept Living Area with Private Bathroom & Entry. Stunning Chalet Near the Sea with Private Hot Tub, BBQ, + Deck! Property 14: Stunning Chalet Near the Sea with Private Hot Tub, BBQ, + Deck! Property 15: Secluded Sandy Beach All To Yourself! Panoramic Ocean and Mountain views. 1 Bedroom Oceanview Chalet with Free Kayak Rental and BBQ on Deck! Property 19: 1 Bedroom Oceanview Chalet with Free Kayak Rental and BBQ on Deck! Stunning Desolation Sound Chalet with Private Hot Tub, Deck + BBQ! Property 21: Stunning Desolation Sound Chalet with Private Hot Tub, Deck + BBQ! ** NEW LISTING ** Wonderful Waterfront Family Home ~ Outstanding Views! Property 28: ** NEW LISTING ** Wonderful Waterfront Family Home ~ Outstanding Views! Cozy Desolation Sound Chalet - Perfect Ocean & Wildlife Getaway! Property 29: Cozy Desolation Sound Chalet - Perfect Ocean & Wildlife Getaway! 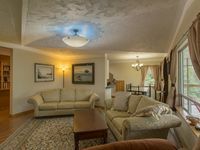 This rental property is located in beautiful Desolation Sound, British Columbia, Canada and we look forward to your inquiry and/or reservation. Property 32: This rental property is located in beautiful Desolation Sound, British Columbia, Canada and we look forward to your inquiry and/or reservation. Tranquil Getaway! Chalet with Loft by the Ocean with a Patio + BBQ! Property 34: Tranquil Getaway! Chalet with Loft by the Ocean with a Patio + BBQ! At the beach, in a Heritage Home, priceless! Property 38: At the beach, in a Heritage Home, priceless! Property 39: This rental property is located in beautiful Desolation Sound, British Columbia, Canada and we look forward to your inquiry and/or reservation. Property 40: This rental property is located in beautiful Desolation Sound, British Columbia, Canada and we look forward to your inquiry and/or reservation. Property 41: This rental property is located in beautiful Desolation Sound, British Columbia, Canada and we look forward to your inquiry and/or reservation. 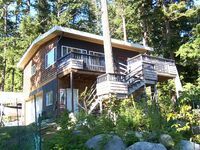 Property 42: This rental property is located in beautiful Desolation Sound, British Columbia, Canada and we look forward to your inquiry and/or reservation. Beach Front Paradise! Views out every window. Property 45: Beach Front Paradise! Views out every window. One Bedroom Waterfront Cottage Fully Furnished on Texada Island in Van Anda. Property 47: One Bedroom Waterfront Cottage Fully Furnished on Texada Island in Van Anda. Super helpful hosts. Nice quiet secluded location. A beachfront getaway! Awesome little cabin steps from the beach. The hosts were super helpful and very easy to get along with. No problem recommending this rental to anyone who visits the area. Beds were comfy and the cabin was stocked with anything that one would need.